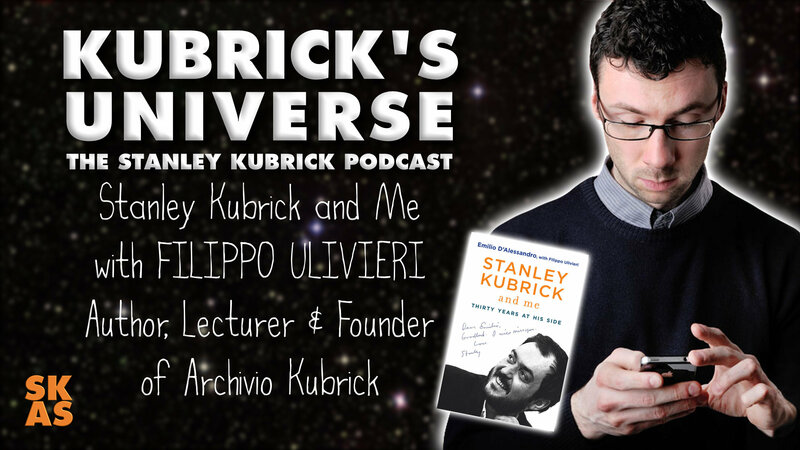 04 Filippo Ulivieri : Author Filippo Ulivieri talks to Kubrick's Universe about Archivio Kubrick and his fantastic book Stanley Kubrick and Me. Stanley Kubrick, has always been depicted by the media as the Howard Hughes of filmmakers, a weird artist obsessed with his work and privacy to the point of madness. But who was he really? Emilio D'Alessandro lets us see. A former Formula Ford driver who was a minicab chauffeur in London during the Swinging Sixties, he took a job driving a giant phallus through the city that became his introduction to the director. Honest, reliable, and ready to take on any task, Emilio found his way into Kubrick's neurotic, obsessive heart. He became his personal assistant, his right-hand man and confidant, working for him from A Clockwork Orange until Kubrick's death in 1999. "This was an awesome interview and as I have felt with the others, it really makes a difference to have podcast BY Kubrick fans, FOR Kubrick fans. It just put me in a "good space" of Kubrick immersion throughout." Mark Lentz, Stanley Kubrick Meet-Ups New York - 25 March 2018.